It might come to many as a shock but the truth is that the birth control pills can actually cause hair loss issues. Women should be aware of this because it is important to them. It is not only that the hair thinning or falling can be a result of the birth control pills but at times; it can also be a menopause symptom. There has been a lot of research going on to discover the connection between the hair loss and the birth controlling pills. Most of the research done has verified that there is a major relation between the both. The constituents of these pills may affect the stimulation of the hair growth in the women and they may experience thinning of hair and its major shedding. It is, however, necessary to note that this condition is not shown for a long time and after a few months the hair loss will stop and that this is not a permanent problem. For the hair loss problem that arises due to the consumption of the contraceptive pills, there is very less hair loss solution available for this problem mainly because this is a temporary situation that does not take a long time before it gets back to normal state, it, in most cases, does not need special hair treatment. 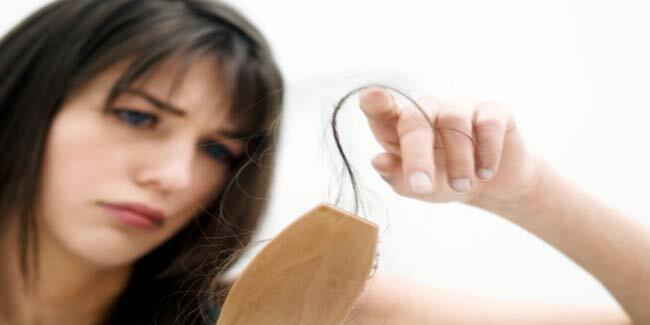 The hair loss most of the time depends on the age of the woman using the birth control pills. It is much harder to notice the hair loss in younger women as compared to the older women who already have lean hair that might all off easily. It is therefore important to know that there is actually no need to stop the medication of the birth control pills and even if you see the symptoms of hair thinning and hair fall, remember that the problem is temporary. It is important to ensure that the birth control pills that they are using do not have the testosterone hormone and if it is present in those pills then the excess of these contraceptives should be prevented. For precautionary measures, one may surely refer to a doctor for the proper inspection of the problem and a complete analysis of the impact of the medicine on their health. It is, however, noticed that most of the cases where the hair loss is caused due to the consumption of the contraceptive pills often gets treated by itself, however, there are studies going on to figure out the exact problem and eliminate the side effect of these pills. Therefore, absolute stopping of the pills may not be needed and even if the problem is getting worse, there are other hair treatments available.